Below are some Frequently Asked Questions regarding our Summer Camps. If you do not see your question and answer, please feel free to email us. Click on a link below to jump to that section of the FAQs. What ages are appropriate for a Mad Science Camp? Some camp offerings sound familiar. Have these been offered before? Are these the only locations where you will be holding your camps? I need a camp that matches my work schedule. Do you offer a camp that covers a full workday? What happens between 12pm and 1pm if my child is signed up for both the morning and afternoon sessions? Will all camp sessions be run? How do I get Mad Science to come to me? I have a Mad Science coupon. How do I redeem it? What should my child bring / wear? What is your policy for early drop off and late pick-up? How do I contact my child during camp in an emergency? What if my child doesn’t want to participate? Do I need to sign an Authorization Form? Mad Science® is the world’s leading science enrichment provider. 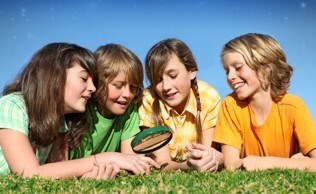 We deliver unique, hands-on science experiences for children that are as entertaining as they are educational. 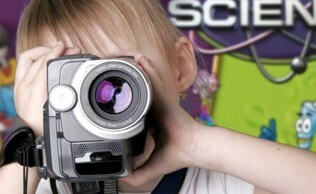 Mad Science is proud to introduce millions of children to a world of discovery while sparking their imagination. Mad Science encourages scientific literacy in children in an age when science is as vital as reading, writing and arithmetic. Our products and services are delivered through an extensive distribution network that serves every major North American market and 19 countries worldwide. Mad Science camps offer a daily combination of in-class discovery and exploration, outdoor games and physical activities, and hands-on application of the scientific principles presented. Your child will be able to touch, see, hear, smell, and taste what science is really all about. We use an inquiry-based technique that allows even the youngest camper to enjoy our learning environment. Campers create a variety of take-home projects while exploring how science affects the world around us. Most Mad Science camps are open to RISING students in grades 1 through 6. (Some camps run by our partner locations may be open to a smaller range within this group). By law, children must be a minimum of 6 years of age prior to the start of their Mad Science Camp Program. All Mad Science activities are specifically designed to be conducted in an age and grade appropriate manner. Activities are composed of large group discussion, work in small teams of 3-5 campers, and individual attention. Depending on the nature of the activity, our instructors will typically split the campers by age and/or grade to ensure the material is presented at an appropriate level. If there are different ages in the same camp, we use the buddy system where the older camper will sometimes help the younger camper. For the most part, campers work in small groups with children of similar age. Our camps usually have a good mix of both ages and gender, therefore your child will be paired with children his age and he will make new friends. All kids have fun at Mad Science, but any activity can be more fun if it is shared with a sibling or friend. Please mention our camps to your family, friends and neighbors. After all, you just may gain a car pool partner! Mad Science strives at all times to provide fun and safe science activities for all children participating in our programs. To fulfill this commitment, we ask that all children enrolled adhere to basic behavioral guidelines. Our instructors set clear boundaries and expectations as to appropriate conduct and we will hold all children to these expectations. We stress these expectations at the beginning of each day of each program. We ask your cooperation should any parent be notified of discipline issues. It is our intention to provide children with, not deprive them of, exciting and fun science. It is only when a child interrupts this positive learning environment that we would take any action. Our camper to instructor ratio will never be greater than 20 to 1. Most camps will have a lead and an assistant instructor. We create our camp schedule with the intention of being able to offer each and every session. We ensure there is sufficient equipment and instructors to manage the schedule we publish. Unfortunately there is no science to how the registrations for each camp session will progress. We have established a minimum number of campers needed to offer a session. If this number is not met, we must cancel that session. As parents ourselves, we understand the unique challenges that arise during the summer as families try to coordinate work schedules, vacation schedules, camp schedules and everything else we have going on in our busy lives. Therefore, if the camp in which your child is registered has not met the minimum requirement, we will notify you at least 4 weeks in advance and give that camp 2 more weeks to increase the registration before we make a cancellation decision. Frequently we will need just 1 or 2 more campers to meet the minimum. Often parents can help us reach the minimum by calling friends, family or neighbors. If the camp has not met its minimum registration by 2 weeks prior to the scheduled start date, we may have to cancel the session. In this case, all parents will be notified promptly with a list of alternative camp sessions. If we are unable to accommodate your schedule, we will offer you a full refund of your registration fee. If our schedule does not work with YOUR schedule then bring Mad Science to you! All you need is 10 children and a place to hold the camp and Mad Science will come to you! We may even be able to adjust the start time, length of the day, number of days or customize our programming to exactly match your needs. Mad Science provides everything else! The easiest way is through our online registration system. It takes about 5 minutes and accepts Visa, MasterCard, Discover and checks. We can also register you for a camp via phone at (757) 502-8124. Almost all of our camps are available through our on-line registration system. However, our partner camp locations are responsible for processing their own registrations. Partner camps are clearly outlined on our online and printed camp schedules. There is a $50 cancellation fee for cancellations received more than 8 days prior to the start of camp. No refunds will be issued for cancellations received within 7 days of the start of camp. There is a $15 fee to change to another camp. At any time prior to the start of a camp, you may transfer your registration to another child for the same camp week with no service charge. If we do not get sufficient enrollment to hold the camp, Mad Science will make every effort to provide alternative camp locations or you will be offered the option of a full refund. Should your child be removed from a camp due to behavioral issues or consistent late pick-ups, there will be no refund. Mad Science provides all the equipment and materials for both the in-class activities and the take-home projects. All you need to provide is a child who is ready to have fun! Children should dress comfortably for that day's weather. We ask that children not wear open toed shoes to a Mad Science camp, especially no flip-flops. Also, as we will be outside on a number of occasions, please do not dress your child in any clothes that you do not want to get dirty. You may wish to apply sunscreen or insect repellent or send these items with your child. Due to the number of children, instructors may not be able to assist in applying these items, so if your child cannot do it on his own, please do it at home prior to the camp. A hat and/or sunglasses may also be useful. Mad Science does not provide snacks during the camp, but we do allot some break time for eating if you wish to send in a snack. Not all of our locations have refrigerators available, so please send a snack which doesn't require refrigeration. Water will always be available. Mad Science cannot accommodate early drop off or late pick-ups. To ensure our instructors are ready to provide your child with an exciting, stimulating and safe day, our doors will open promptly at our stated start time. Please do not drop off your child and leave him unattended before the start time of camp. Our instructors will not be responsible for your child until the start of the camp day. An authorized parent or guardian must be at the camp site prepared to assume responsibility for your child at the stated end time of camp. We ask that you do not enter the room until the instructors dismiss the camp. The vast majority of our camps end on time. However, to ensure all children complete the activities for the day, our camps may run a few minutes long. Yes. There is an element of risk inherent in participating in the scientific process and handling scientific materials and equipment. We at Mad Science of Hampton Roads take every precaution to ensure the safety of our campers and staff. It is important for campers and their parents to understand that if used improperly, and/or without instructor supervision, certain equipment and materials can be dangerous and could result in severe injury or death.